Michelle Gregg is the mother of the then 3-year-old boy who fell into a gorilla enclosure in the Gorilla World exhibit at the Cincinnati Zoo in 2016, which resulted in the death of a silverback gorilla named Harambe. 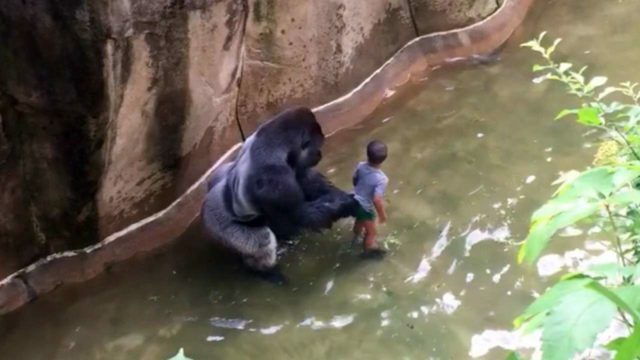 The endangered primate was shot dead by a zoo staff who feared that the child’s life was at risk after the gorilla dragged the boy through a moat inside the enclosure. Ms. Gregg came under fire after the incident, with her and the father of her children facing possible neglect charges as hundreds of thousands of people through an online petition called for the couple to be held accountable for not looking after their child. The county prosecutor in Hamilton has, however, announced that following a police investigation, no criminal charges would be filed against the couple. Read more about Michelle Gregg, the father of her children, her biography and other facts you need to know about her. Michelle Gregg, who lives in Cincinnati, Ohio, was born on August 9, 1983. Her parents are Jeffrey Lee and Renee Joyce Coleman Gregg from Alabama. 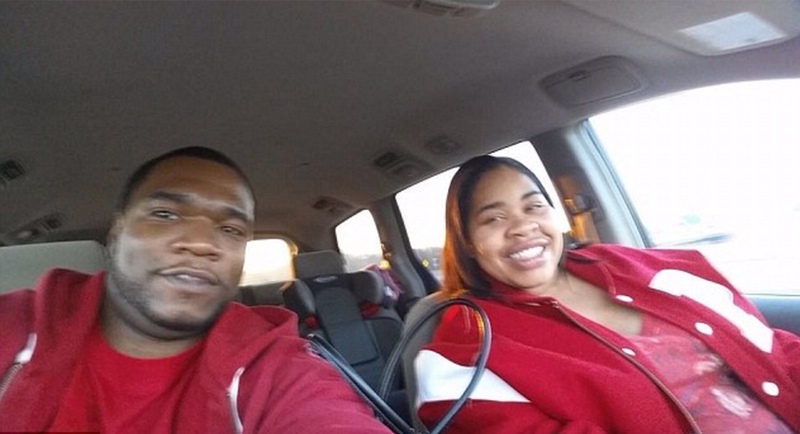 It is not clear if Gregg is legally married to the father of her children, Deonne Bartholomey Dickerson, whom she has four kids with, including Isiah Gregg, the child that fell into the gorilla enclosure. Dickerson, who was born on January 7, 1980, however, lives with his family and makes a living as an industrial worker. Gregg, on the other hand, is a preschool administrator at Little Blossoms Academy in Cincinnati and is also a member of the Cincinnati Union Bethel. She is also a licensed public child care worker and runs a child care center funded by the public. Since the incident, Gregg and her family have tried to live a normal life. They have refused to grant any interviews in a bid to not receive so much attention, but unfortunately for them, their names will forever be linked to the killing of Harambee. Here are six other facts you need to know about her. Michelle Gregg has a total of four children, with her last child being a baby girl; Isabelle Grace Dickerson, born on July 13, 2015. With Gregg being an administrator of a daycare, she has come under extensive fire from the public for not paying close attention to her child. The Facebook profile of the preschool where she works has been flooded with angry messages of people calling for her dismissal, labeling her incompetent. The school and some parents have, however, come out in her defense, with one parent telling reporters Gregg takes good care of her kids and that it was the best daycare she had ever attended. Animal activists, as well as many other outraged animal lovers, took to social media to express their outrage about the killing of Harambee, saying the child’s parents should be held accountable. One witness to the incident told reporters that the boy had repeatedly told his mother that he wanted to enter the water in the enclosure, which the mother repeatedly said no to but failed to pay attention to him and hold him back. On the killing of the gorilla, zoo officials said the only option was to shoot hit because the boy’s life was in danger. They reiterated that a tranquilizer was not an option because it would have taken too long to have an effect on the large primate. It could also have agitated him even further, they explained. As mentioned above, Michelle Gregg will not be facing any prosecution from law enforcement. Cincinnati Police first issued a statement, saying its Personal Crimes Unit was looking at the circumstances that led to the incident. The County Prosecutor further said that once the investigation was concluded, they will decide if charges will be filed. After a week-long investigation, it was announced that Gregg did not put her child in harm’s way and that no charges will be filed against her. Michelle Gregg, who has since deleted her Facebook profile after receiving backlash, took to the social media platform to thank God and the public for their thoughts and prayers. Gregg then confirmed that her son was safe and was able to walk away from the whole incident without any broken bones or internal injuries but just a concussion and a few scrapes. Following the outrage on the killing of Harambee and the call for the prosecution of Gregg and her husband, a number of well-wishers opted to give gifts and make monetary donations to the family. However, through a statement, the family declined to take any of the gifts, saying the Cincinnati zoo was more deserving.